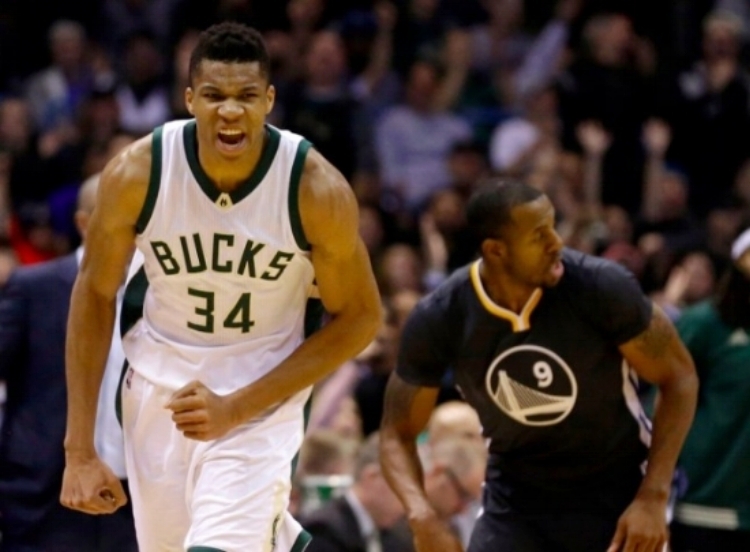 There really isn't another athlete quite like Giannis Antetokounmpo in the NBA. Comparisons have been drawn to guys like Kevin Durant and Tracy McGrady, but he has a few inches on both of those players. The only thing Durant holds as a physical feature over Giannis is a little over an inch wingspan advantage. The "Greek Freak" has taken the NBA by storm this season. He is up in all the major statistical categories on his career averages. His 23.9 points per game are nearly 10 up from his career average. His assists, rebounds, and field goal percentage are also a few points higher than the numbers he has put up prior to this season. Heck, if he started handing out a few more assists per game he would be right next to James Harden and Russell Westbrook with a near triple-double average per game. While this may seem astronomical to some, Giannis has held this potential since being drafted in 2013. The next crazy thing about Giannis is that he just turned 22 in December. He has been referred to with high regard by guys like LeBron James and Carmelo Anthony. That is some high praise being shed his way, but the Milwaukee Bucks would not trade him for any player in the entire NBA. The Milwaukee Bucks were criticized heavily when drafting the Greek superstar with the 15th overall pick in the 2013 draft. He was said to be a talent that wouldn't leave his home nation and team and the development process he would require left him years away from the NBA. The Bucks have done well scouting foreign born talents before and the Bucks ownership group made a confident decision with the pick. Giannis has doubled nearly all his statistics each year he has played in the league and he has given the Bucks a sense of relevance they haven't seen since Ray Allen led the team. So, when does his improvement become limited or reach a road block? That has yet to be seen. He has improved upon his ball handling each year, making him one of the most versatile players in the league. He can play any position with his size, giving the team an advantage over any potential match-ups that pose a threat. He has turned the Bucks into a winning organization once again, also making other players around him better. His plug-and-play style makes him a nightmare for opponents to deal with. The Bucks, as a team, are currently 18-16 and 6th in the Eastern Conference standings. Their record takes some shine away from impressive victories over teams like the Cavaliers and the Thunder. The attention that Giannis draws also help create opportunities for players like Jabari Parker, Greg Monroe, and Malcolm Brogdon. The Bucks are also currently without a player that has been nothing but spectacular for them over the past few seasons in Khris Middleton. His return will help open up the floor for all players and may create a mini “Big 3” with Parker and Giannis. This team is a force when fully healthy. The return of Middleton, albeit probably a year away, will place the Bucks in the running for the top spot in the East. Giannis and the team are the real deal; just sit back and watch his improvement reach new heights as his career progresses.